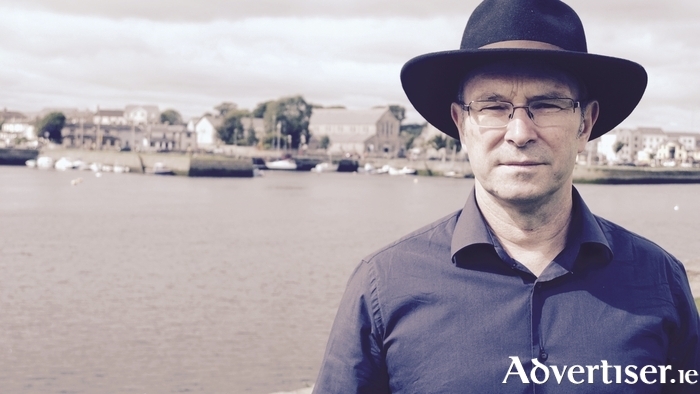 A public reception to celebrate the work and teaching of Galway-Mayo writer Mike McCormack, to mark the success of his acclaimed novel Solar Bones, will take place tomorrow evening [Wednesday February 22] in NUI Galway. The event, hosted by NUIG’s Discipline of English and School of Humanities takes place in the Aula Maxima, in the university's quadrangle at 7pm. The event will hear McCormack reading from Solar Bones. The novel, published in 2016 by Tramp Press, won the prestigious Goldsmiths Prize at the University of London, the Eason Book Club Irish Novel of the Year, and overall Irish Book of the Year at the Bord Gáis Energy Irish Book Awards. McCormack is the longstanding teacher of fiction on NUI Galway’s MA in writing, and during the current academic year he has taken up the directorship of the university’s BA with creative writing programme, on which he has also been a teacher and mentor.